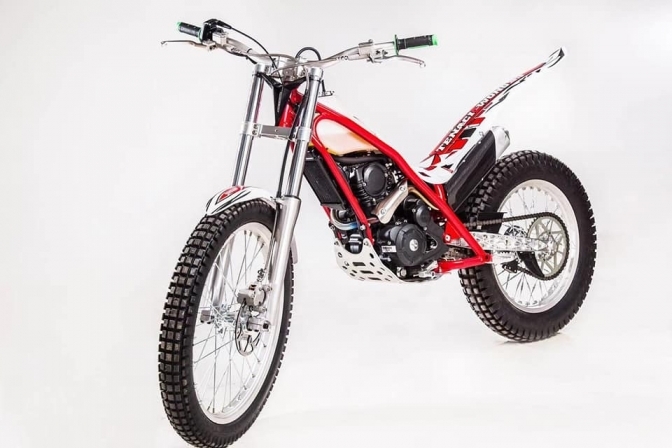 We Take a look at the first trials motorcycle complete that is made in China. 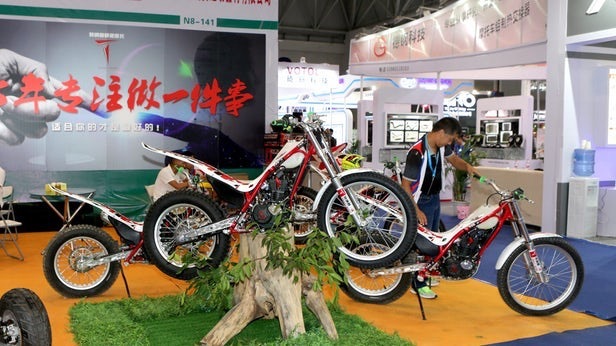 The manufacturers are currently checking out contacts in various countries to start exporting the bike although they were primary designed for the rising interest in motorcycle trials in their own country. Canada have become the first nation to get the bikes with the first four delivered, along with Indonesia. Contact has been made with USA, Australia, and the UK, Spain and France are also interested in the machine. 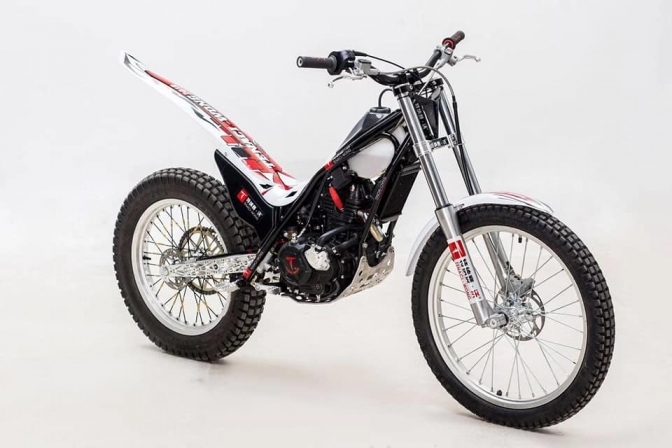 The frame is well constructed in steel, along the same lines as the GasGas Randonee, of a few years back but with better bracing and lines. The alloy swinging arm is just a work of art and just shows the effort that has gone into this little machine to make it look right. Forks seem to be of clean line and do the job. although watching the videos there could be room for adjustment in the action. although they work well. the twin pot front disc brake and the single rear look up to the job in hand. The weight penalty to some is the fitment of an electric start motor and small lithium battery to power it. But I for one with a bad knee would so much enjoy the system... and done and said all, it only brings the weight three lbs over a current crop BSA Bantam weight.